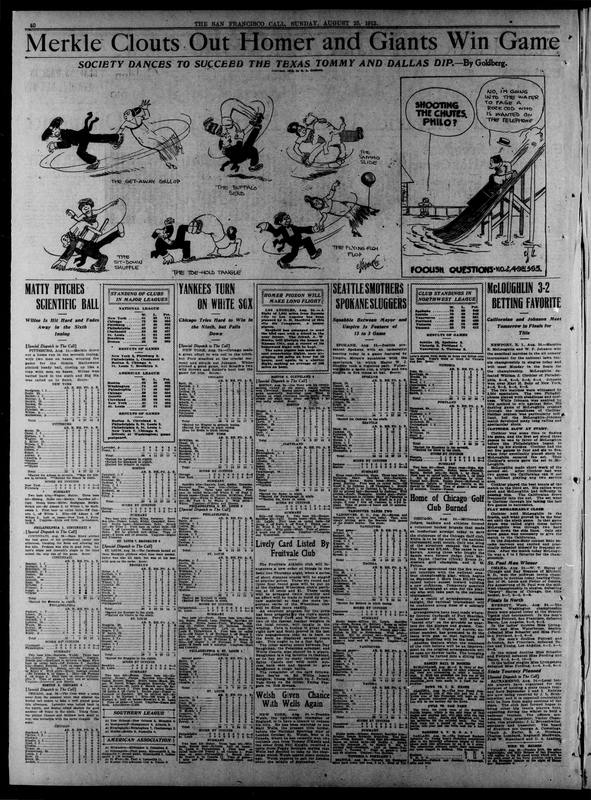 SALT LAKE TRIBUNE, THURSDAY MORNING, FEBRUARY 29, 1912. This peculiar article from 1914 examines a vaudevillian who had been performing in Belgium at the outset of World War I, when the Germans invaded the country and occupied Brussels. 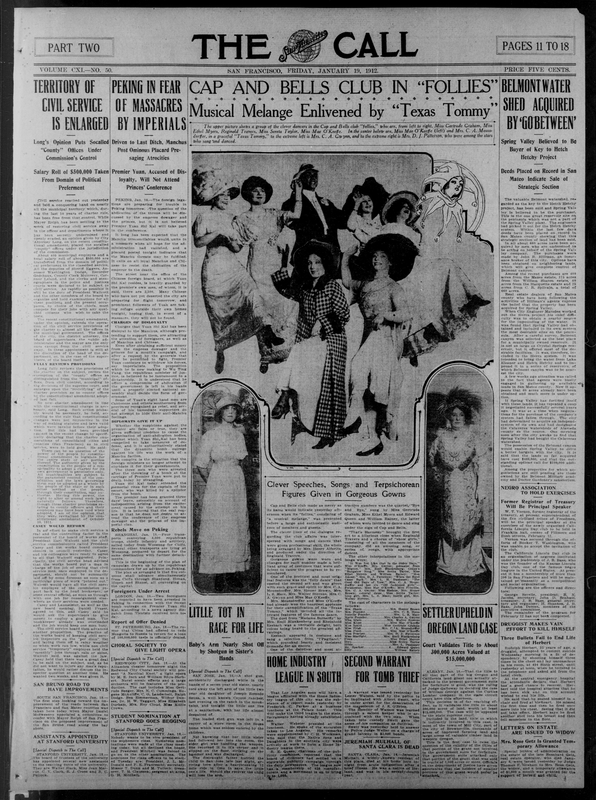 The Sun interviewed dancer Frank Warren, who spoke on behalf of his Texas Tommy performance group. Mr. Warren appears to be highly impressed by the efficacy of the German military. Presumably, he was spared from witnessing some of the greater atrocities of occupation. Two members of the vaudeville troupe are pictured in the article, doing a dip and a lift. The lift is particularly notable because it resembles a lift common in swing dance to this day. 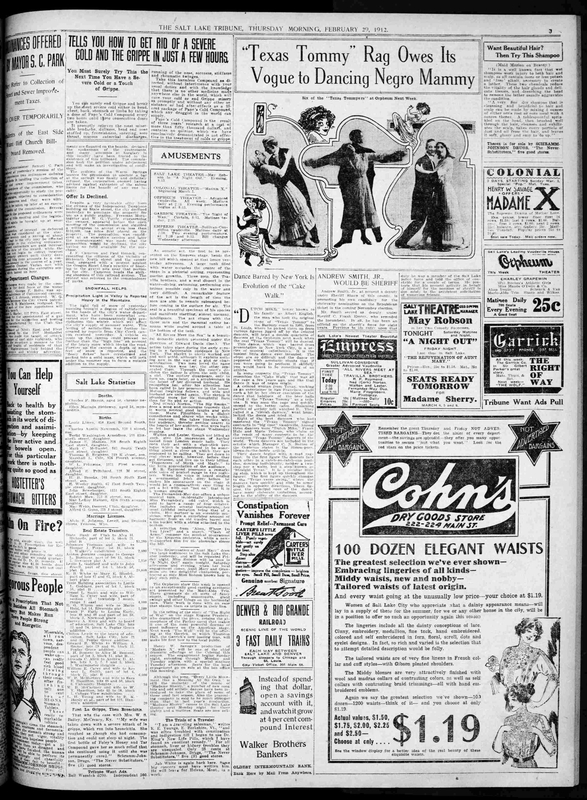 The above article is promoting an upcoming vaudeville performance where one of the acts will be a group of Texas Tommy dancers. It contains a drawing of several Texas Tommy positions. I have seen this drawing used elsewhere, similarly accompanying short articles about the Texas Tommy. 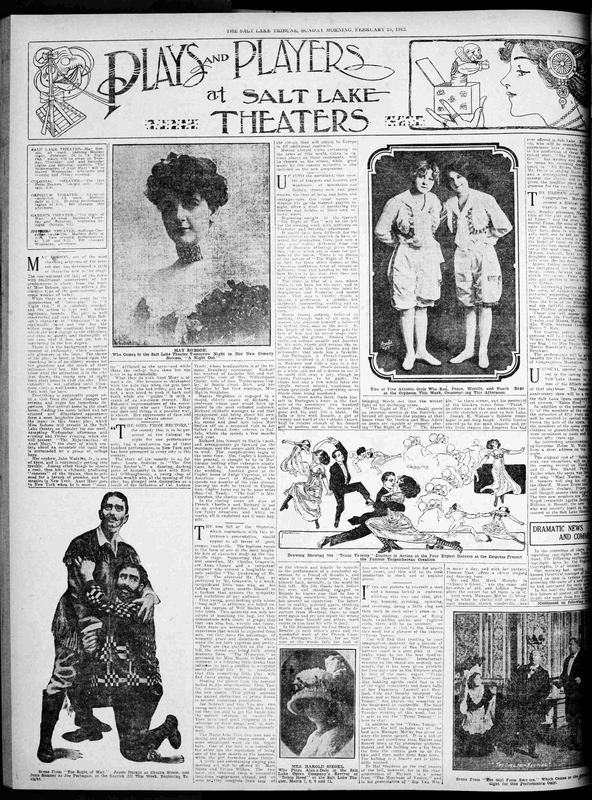 The above article in The San Francisco Call shows two society ladies (center, bottom) doing the Texas Tommy. Their version appears to have a Big Apple trucking’ vibe to it. 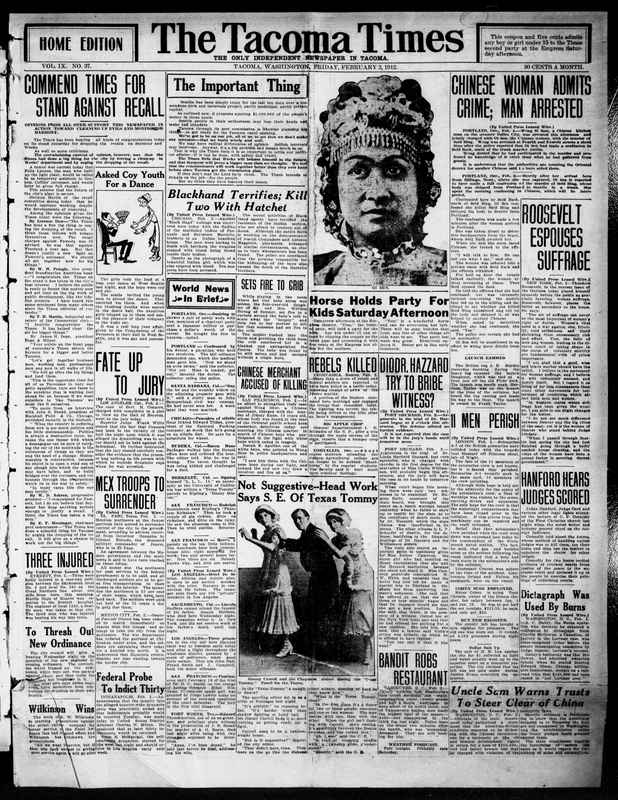 According to the Tacoma Times, the dance can be performed by more than two people simultaneously. 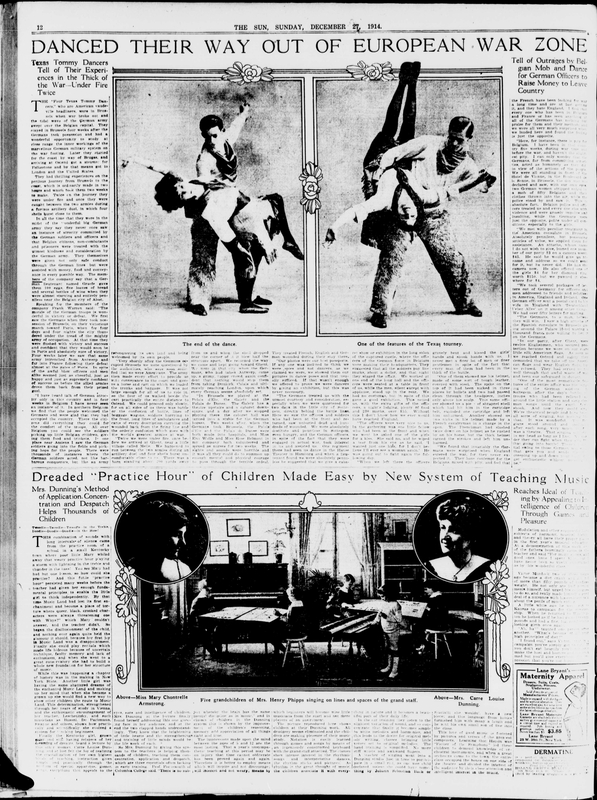 These articles were provided by Chronicling America.